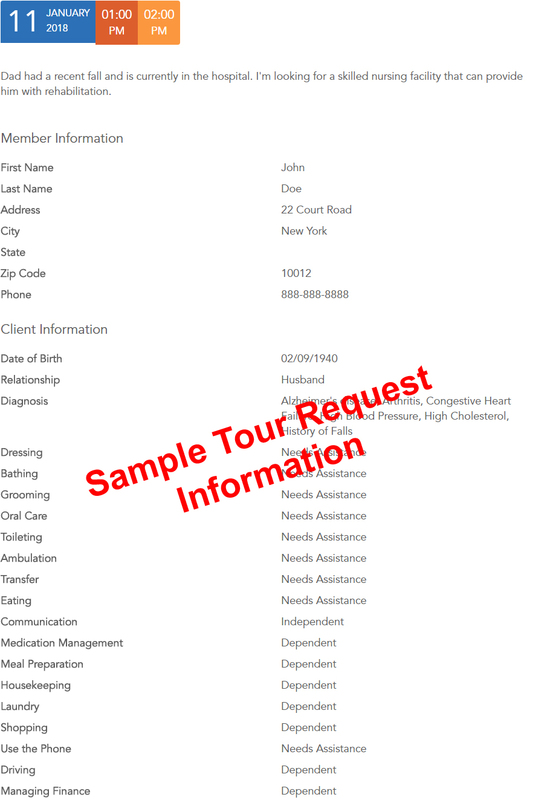 SeniorHabitat’s registration form allows users to share information about the potential resident’s needs prior to touring a senior home. This screening process will help avoid older adults and caregivers from taking time from their busy schedule to visit a “home” that isn’t appropriate for them. Also, it makes it easy for housing providers to screen potential residents based on medical diagnosis and activities of daily living prior to a tour.